Undoubtedly one of the most popular author’s today, Jacqueline Wilson is renowned for her female protagonists. Opal Plumstead tells the story of a clever, determined girl in the early 1900s who dreams of going to university. However, her father is sent to prison and she must work instead to support her family. It is whilst at work that she is introduced to Mrs Roberts, who shows her the world of the Suffragettes and the rights they fight for. Little Women is a classic. Meg, Beth, Jo and Amy live with their mother and father, but when their father is sent away to war, the women are forced to gain independence and take care of themselves. The girls journey from childhood, to adulthood experiencing their fair share of troubles and fun along the way. Sephy is a Cross. Callum is a Nought. Crosses are the superior race and rule over the lowly Noughts who act as their servants. Sephy and Callum have been friends since birth, but in a world full of prejudice, violence and racism, their friendship struggles and the pair must overcome the rigid views of the adults to stay friends. Another classic, A Little Princess tells the story of Sara Crewe, who moves from India to London as a rich princess, laden in velvet and expensive clothes. But when her father dies, she is thrown into poverty. She becomes a beggar and has to do hard work just to survive. Only her imagination and the kindness from others gets her through. Most famous for The Tale of Peter Rabbit, Beatrix Potter’s Tale of Kitty in Boots was only discovered a couple of years ago, over 100 years after it was written. Potter was a self-confessed feminist, and this story shows the strong nature of girls even though it was written at a time when women weren’t seen this way. It tells the story of Miss Kitty who leads a daring double life defeating villains. 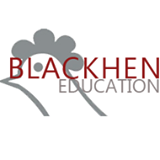 This post was written by Lucy Taylor, one of our IGCSE English tutors at Blackhen Education.